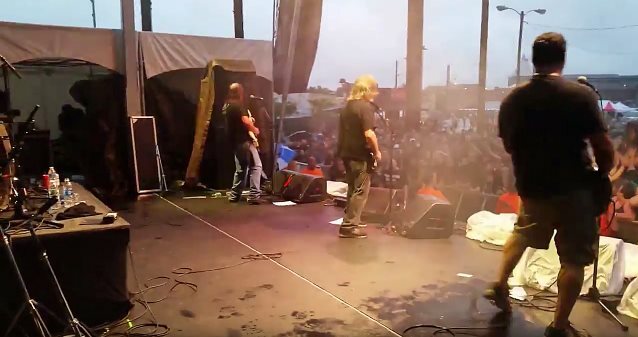 Reunited cult New York thrash metal act DEMOLITION HAMMER played its first comeback concert yesterday (Sunday, May 29) at the Maryland Deathfest at Edison Lot in Baltimore, Maryland. As previously reported, DEMOLITION HAMMER will also play at St. Vitus Bar in Brooklyn, New York on Friday, June 17. 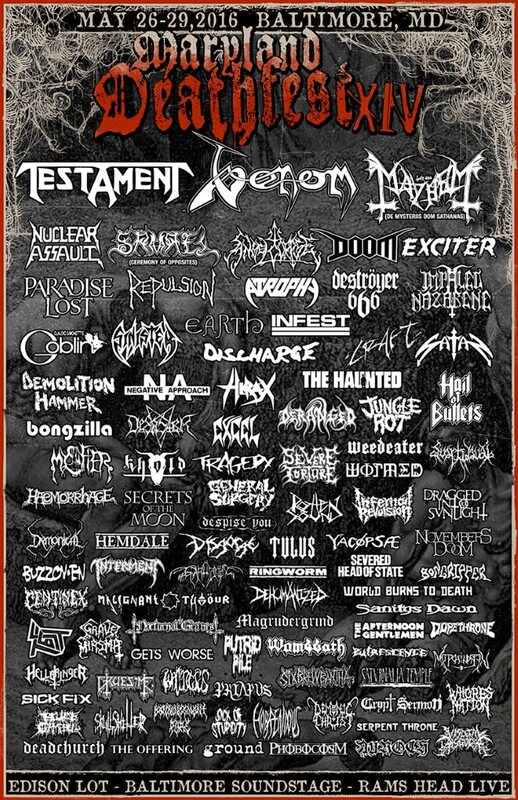 The band will also perform at the Netherlands Deathfest II in March 2017. DEMOLITION HAMMER's 2016 lineup consists of original members Steve Reynolds (vocals, bass) and James Reilly (guitar) alongside longtime guitarist Derek Sykes and the group's latest addition, drummer Angel Cotte (EYES LIKE CYANIDE). Sykes told BLABBERMOUTH.NET about DEMOLITION HAMMER's future plans: "We'll do some limited touring and festivals. We haven't discussed new music yet, but we'll see where all this goes." DEMOLITION HAMMER was active between 1986 and 1994 and released three full-length albums — "Tortured Existence" (1990), "Epidemic Of Violence" (1992) and "Time Bomb" (1994) — all through Century Media. A DEMOLITION HAMMER compilation, "Necrology: A Complete Anthology", was issued in 2008, also through Century Media. The set contained the band's entire three-album discography across two discs. Shortly before the compilation's release, Sykes released a statement taking issue with "the allegations" included in the liner notes which suggested that the band "didn't have time to contribute" to the anthology. He explained: "In fact, DEMOLITION HAMMER was quite involved in the initial realization of the project. But ultimately, due to qualitative differences, we decided to let our past work with Century Media speak for itself." In March 2015, Century Media reissued "Tortured Existence" and "Epidemic Of Violence" on vinyl.